The book includes a type of study guide, with questions, and plenty of room left for your answers, as you study through the Bible and see what God says to you about developing a deep-rooted joy, making this ideal for small group studies. Sally is, first and foremost, a full-time, stay-at-home-schooling mom. Her life revolves around her four wholehearted children—Sarah, Joel, Nathan and Joy. In addition to her ministry to her family, God has also given her a ministry to other families, and to homeschooling mothers, through speaking and writing. Sally grew up in Texas and New Mexico, accepted Christ personally her freshman year at Texas Tech University, was active with Campus Crusade for Christ during college, and joined staff upon graduation in 1975. She ministered at the University of Texas, lived and ministered in Eastern Europe under Communist rule, and returned to Denver to work with executive women and singles, and with Clay, whom she married a year later. She has always been active in discipling women, and began a churchbased homeschool support group in Nashville that is still active. Through Whole Heart Ministries, she has ministered alongside Clay as a writer, speaker and discipler. 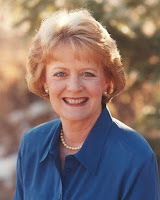 Sally enjoys the beauty of Colorado and hiking the forest trails around her home; good books of all kinds; strong English tea in a fine china cup; baking whole wheat bread; and being with family and friends. I loved this book and I know it will be one I will re-read many times through the years. The author invites you to experience for yourself what happens when you trust God to lead you into a life of anticipation, passion, and purpose. It as a warm and inviting book. 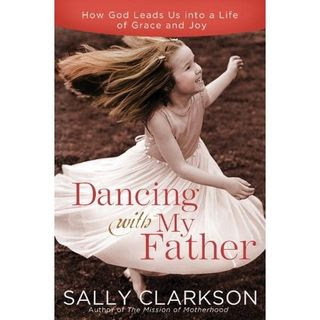 If you are struggling in your walk with God and in finding joy on this fallen earth, I believe Sally's book will be a huge inspiration and encouragement to you. To enter to win a copy of this book wonderful book just leave a comment below with your email address and I will randomly choose a winner on March 10th, 2010. Please enter me~I would love to win this book!